Cream together softened butter and confectioner’s sugar. Crack the egg into a separate bowl, and add the flavoring. I use emulsions, but extract also works well. Add that to the butter sugar mixture and mix until the egg is thoroughly incorporated. In a separate bowl, sift together the flour, baking powder, and salt, then add little by little to the mixture. You can tell the dough is ready when most of it sticks to the paddle. When you touch it, it should have a little give, but does not stick to your fingers. 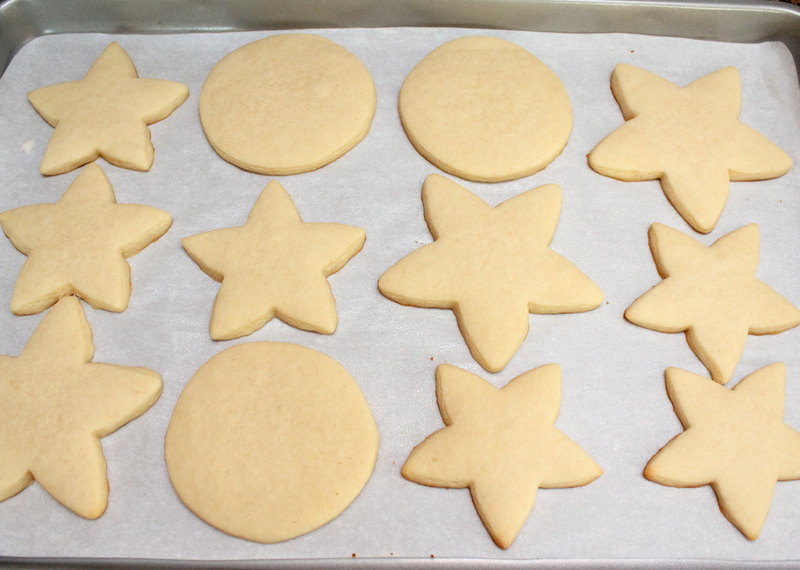 Roll out on parchment to about 1/4 an inch thick, use flour for dusting as necessary. Then, cut and bake at 400 degrees for 7-8 minutes. This version makes 2-2 1/2 dozen, doubled, it makes 4-5 dozen. When they are cool, they are ready to decorate.